Rocio (rohsee-oh) de Alba is an interdisciplinary artist and conceptual documentary photographer based in Queens, New York. She received a BFA from The School of Visual Arts and is an award-winning book designer and photography instructor. Rocio is a grant recipient of the Queens Council on the Arts with public funding from the New York City Department of Cultural Affairs; and was recently awarded a scholarship by the New York Foundation for The Arts (NYFA( to attend the 2017 Artist as Entrepreneur Boot Camp. 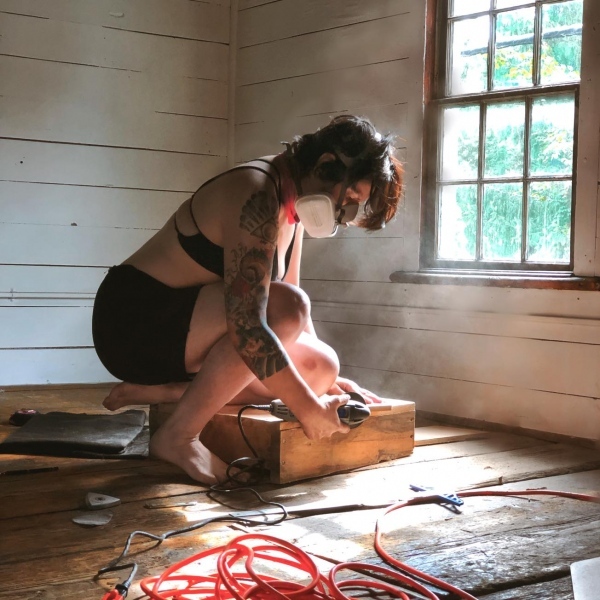 Her work has been shown internationally including exhibitions, features, and screenings at Month of Photography Los Angeles' (MOPLA) Projekt - curated by Scott Thode. She has been featured on CNN Photos, New York Magazine, The New York Times Lens, New York Times Magazine, and L'Oeil de la Photographie. A selection of Rocio’s group exhibitions include Blue Sky Gallery in Oregon, Colorado Photographic Art Center, Vermont Center of Photography, Candela Gallery + Books in Virginia, Foley Gallery, Flowers Gallery, and Howard Greenberg in New York. In 2017 Rocio's work was also exhibited at the Kolga Photo Festival in Tbilisi. Her handmade, self-published artist book documenting her nine-year-old son entitled “Miracle Baby,” was the focus of a panel discussion and exhibition at the Elder Museum in Nebraska. It earned a finalist position at the Festival Documental in Barcelona. On April 2017 the book was also selected for the INFOCUS Exhibition of Self-Published Photo books at the Phoenix Art Museum. In addition, Miracle Baby joined a group exhibition at Fall Line Press in Atlanta this November 2017 and the artist book will be offered for Sale at Fall Line Press thereafter. Rocio's series, Honor Thy Mother, is currently a travel exhibition starting at Griffin Museum of Photography, curated by Executive Director Paula Tognarelli; with a second stop at Providence Center for Photographic Arts in Rhode Island; and a third shceduled for November at China's Yixian International Photography Festival curated by Guo Jing.